When the holiday season ends and it’s time to take down the decorations, remember to take care of them and store them properly so you can use them again and again over the years. If you don’t have storage options in Capitola, CA inside your house, you can always use a storage unit. Watch this video and learn about the right way to store an artificial tree. Artificial trees don’t require the same amount of care as live trees, and they can last for years if you care for them the right way. Don’t store your fake tree in its original box, as it can break down over time and let moisture, dust, and bugs inside. If you use a plastic container, make sure you use one that seals tightly so air stays out. You can also use a storage bag, and many of these bags have wheels attached. You’ve found a storage unit in Capitola, CA and you’ve packed up all the belongings you plan to leave there, but now you have to figure out how to transport them. It’s easy to hurt yourself if you try lifting heavy things without the right techniques, and you might even lose time at work. Watch this video for safety tips for lifting boxes and heavy objects. Don’t try to lift something that’s too heavy for you to handle by yourself. Try to lift one corner of the object to determine how heavy it is, and don’t be afraid to ask for help. Look for handles or another good place to grip before lifting. Standing next to the object, bend your knees and spread your feet to about shoulder width. Keep your back straight as you slowly lift the object, and keep it close to your torso. After you’ve sorted through your options and rented a storage unit in Capitola, CA, it’s time to pack up your belongings. Use cushioning packing materials, such as Bubble Wrap®, to pack your delicate items for long-term or temporary storage. You can see a demonstration of the right way to use this popular packaging material when you watch this featured video. For maximum protection, wrap your item with the bubbles facing inward. For example, if you’re going to wrap a bowl, place a sheet of wrap on a flat surface, with the bubbles pointing upward. Place the bowl on top, and fold the sides inward. Use tape to secure the wrap. Don’t rely on wrap alone to protect breakable items. Before you take the box to your self-storage rental, fill all available space with additional packing material, such as packing peanuts or crumpled newspaper. After you have moved all your boxes into storage, you may quickly forget where you have placed certain belongings. To avoid confusion during and after your move, it is a great idea to create a labeling system to use on your boxes as they are being packed. Colored tape, for example, can be used to clearly identify the contents of certain boxes. You may also want to list the general contents of a box on its exterior label. To save space while you are packing household goods, you may want to consider using your extra sheets and towels to protect more fragile items. Your linens can be securely wrapped around vases, lamps, and other breakable belongings to provide them with an extra layer of protection. As a bonus, using towels as packing materials will eliminate the need to purchase bubble wrap or packing peanuts. During the packing process, it may be tempting to cram as much stuff as possible into a single box. If you pack your boxes to the point where they are bulging or overflowing, however, you will have a much more difficult time arranging them in your storage unit. As a general rule of thumb, you should always leave a few inches of space at the very top of each box that you pack. While packing your belongings that you’ll move into storage, it’s vital that you think about storing your items vertically as well as horizontally. Many storage units are at least 8 feet tall, meaning that you can stack your boxes high to maximize what you get out of the space. To do this safely, stack boxes that are of similar size with the heaviest ones toward the floor and the lightweight ones at the top. As you move your belongings into the storage unit, keep in mind that you may want to access some of the boxes over time. To make the process of getting to particular items as hassle-free as possible, leave at least one walkway through the middle of your unit. When you fill the space completely, not only will it be more difficult to see where everything is, but you’ll also have to move more boxes to reach what it is that you need. Among the most important steps that you can take to get the most out of your storage unit is to label your boxes and face them toward the aisle. The path that you make will be of little help if you can’t determine what items are where. Do you have some bulky belongings that you need to store? If so, then take a closer look at these items and determine if they can be taken apart. Many types of furniture, exercise equipment, and athletic gear can be at least partially disassembled to make them easier to store. When doing this, be sure to keep all of the related pieces together and bag up bolts and screws as necessary. Though storage facilities are meant to store and protect your items, annoying pests can enter a storage unit and wreak havoc. These pests, usually rodents and bugs, will enter a storage unit and start looking for items to build their nests. You may think many of the items in your storage unit near Capitola, CA are protected, but you might be surprised by what a pest can use when building nests. Since rodents can gnaw through almost anything, paper products are some of the easiest materials they can use to build their nests. Any paper materials you might have—files, packing paper, etc.—should be in a sealed and airtight container. This will help deter rodents from nesting in your storage unit. Instead of packing dishes or clothes in cardboard boxes, use plastic containers with tight seals on them. Mice cannot chew through these containers, and the containers make for easier stacking and storage. Many people are surprised to hear that rats and mice can destroy wooden furniture easily. Rats can gnaw through the legs on a wooden table or couch in no time. As rodents gnaw and strip your wooden furniture, they will take the material to the nest they are building in your storage unit or storage facility. Wrap your wooden furniture in thick plastic wrap, and seal it as well as you can. This will make it difficult for rodents to access your furniture, and it will protect the furniture from rat droppings and urine. If paper products are easy for rodents to tear apart, then fabrics are just as easy to shred. Keep your clothes and drapes in sealed, plastic containers. Make sure your upholstery, such as couches and chairs, is covered in thick, plastic wrapping. If you have any other fabric materials in your self-storage unit, then do whatever is necessary to seal them away from pests and rodents. If you suspect you have a rodent or pest problem, consider using a no-kill trap or repellant to keep unwanted pests away from your storage unit. After you have decided which clothes will go in your storage unit, it is time to start packing them up. By planning ahead, you can save yourself a lot of stress and time before heading to your self-storage unit in Santa Cruz, CA. Watch this video for some great tips on packing and securing your clothes for a trip to your storage unit rental. Wardrobe boxes will be your best friend when packing hanging clothes. These boxes can hold about 2 feet of closet space. As long as you seal the box against moisture, your clothes should be completely protected. Folded clothes can stay in their dresser drawers, but for an extended time in a storage unit, you may prefer to box them up. Lay packing paper between each layer of clothes, as well as in the bottom and top of the box. Do not forget to label all of your boxes. Prior to placing linens into a self-storage unit, you need to take steps to pack them up properly so that they don’t get damaged while they’re being stored. Watch this video to hear some helpful tips for preparing your linens for a self-storage unit in Capitola . One of the most important parts of packing linens is finding large boxes that are spacious enough to fit them comfortably. To make the most of the limited space you will have, you can put linens into storage bags before placing them into your boxes. This will help you fit more linens into boxes and protect your linens in your self-storage unit. You can also place cedar wood into your boxes to keep pests away. By taking these steps, you won’t have to worry about anything happening to your linens when you put them into your storage unit rental. If you are planning to visit a secure storage facility and rent a high quality storage unit in Santa Cruz, there are a few packing tips to consider first. Watch this video to find out more about how to pack your belongings for storage . The video begins by advising you to pack heavier items, such as books, in smaller boxes. Lighter items, such as clothes, can be packed in larger boxes. The presenter suggests stacking heavier boxes on the bottom of each pile, with lighter ones on top. It’s important to make sure that the boxes are securely stacked. The video suggests fitting plastic or metal shelves into your storage unit. This will make it easier for you to access individual boxes. The presenter also reminds viewers of the importance of carefully labeling each box. It can be useful to know the precise location of specific items or categories of items when looking around your storage unit. There are many situations in which you might chose to place some of your possessions in storage. Perhaps you are moving house or are temporarily living in a small property. You may be sentimentally attached to certain bulky items, such as heirloom furniture, which you do not have room for in your current home. If you are planning to seek out professional storage services near Santa Cruz , you will first need to pack up your belongings. Packing carefully is key, if you wish your belongings to remain in excellent condition while they are in storage. Decide which items you may need to access more frequently so you’ll be able to place these toward the front of the storage unit. Make sure they are not buried underneath a stack of other boxes. Separate out fragile items and take special care in packing them. Think about how best to store bulky or awkwardly shaped items, which will not fit easily into boxes. The management team at a reputable storage facility should be able to offer advice on packing these items. Pack your belongings in plastic or cardboard boxes. You should never use plastic bags as some plastic bags can degrade over time and leave their contents exposed to moisture. Use standard-sized packing boxes, if possible. Most storage units are designed to house a specific number of boxes. Using standard-sized boxes will make it easier to estimate the size of storage unit you will need. If the boxes are different sizes, it will be more difficult to stack them evenly. Use bubble wrap or quilts to cushion fragile items. If in doubt, ask the staff at the self-storage facility for advice. You’ll need to count the number of boxes you have packed and measure any non-boxed items in order to estimate the size of storage unit you will need. The self-storage company may be able to offer guidance on this. Your belongings should fit snugly inside the storage unit you choose. If you’re considering renting a self-storage unit in Capitola , there are a few important things that you should consider before choosing a self-storage facility. You want to make sure that you find a high quality storage unit in a secure storage facility. 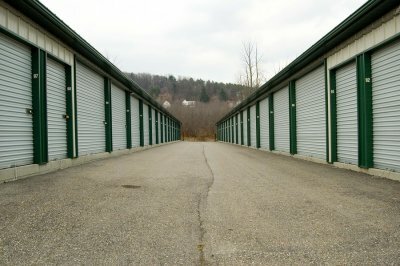 Here are some helpful facts about self-storage units and storage facilities that will make your decision much easier. Regardless of how long your belongings will be held in your self-storage unit, you want to be sure to choose a secure storage facility. Your self-storage unit should only be accessible via an electronic keypad, and ideally, both security guards and security cameras should monitor your storage facility. Try to find a storage facility that offers insurance for your self-storage unit as well, to further protect your belongings. While most storage facilities have elevators that provide access to their upper level self-storage units, it’s much more convenient to rent a ground level storage unit. Some storage facilities even guarantee that all of their storage units are on the ground level. This will make it much easier and faster for you to get items in and out of your storage unit whenever you need to, without having to worry about getting up and down stairs or elevators. You’ll be able to pull your moving truck straight up to the door of your storage unit, and load and unload your belongings with ease. A storage facility that offers customizable storage units and storage plans will make it easy to find the perfect self-storage unit for your needs. You will be able to choose from a variety of storage unit sizes so that you can be sure that all of your belongings fit easily inside. Customizable storage also allows you to create a rental and billing agreement based upon how long you will need to rent your storage unit. Moving can be a stressful event, whether you’re heading across the country or simply to a new place across town. There are many aspects to a successful move, including using a self-storage facility in Capitola to hold your excess belongings. In addition to planning ahead so that you feel less overwhelmed and don’t leave everything to the last minute, you’ll need to equip yourself with the proper supplies. Boxes are essential for moving and storage, and it’s a good idea to invest in high-quality moving boxes that are sturdier and easier to stack than old boxes you may have lying around. Packing tape that is at least two inches wide will help secure your boxes so that nothing accidentally falls out. Don’t forget about packing peanuts and bubble wrap to make sure your fragile items remain intact during moving and storage. Check out this infographic from JD Mini Storage to learn more about what supplies are an absolute must for your next move. Please share with your friends and family! When storing your kitchenware in a secure storage facility in Capitola , you want to be sure that glass and ceramic items don’t get broken while in a storage facility or in transit. You can protect your kitchenware by packing it carefully and storing it securely in your self-storage unit. Before packing up your kitchenware, wrap up any breakable items in newspaper or butcher paper. You should consider buying glass pack boxes for wine glasses and other drinking glasses. 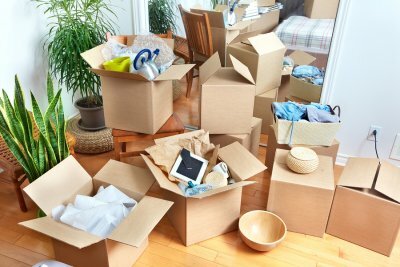 Pack your boxes carefully and securely, so that there isn’t a lot of space for items to shift around and hit against each other. Fill in extra spaces between items with crumpled up newspaper or packing peanuts. When moving your boxes of kitchenware into your self-storage unit, take special care to properly stack boxes. Always make sure that heavier boxes are on the bottom of the stack to prevent boxes from tipping over or collapsing into each other. You should also only stack one box on top of another if it is the exact same size, or slightly smaller to avoid accidents. When you are preparing your belongings for a move into a storage unit, books are among the simplest items to pack. Since books are square in shape, they are able to fit neatly into boxes. However, to ensure that you do not have to carry heavy boxes into your self-storage unit, you should keep some book packing tips in mind. By packing your books into smaller boxes, you can ensure that you have an easy time placing your books in your self-storage unit. A company offering storage units near Capitola, Santa Cruz can help you with all of your packing and storing needs . To hear more tips on packing your books for storage, be sure to take a look at this video from Moving and Packing Tips from Relocation.com. A storage unit can provide you with valuable space to store your extra items. Over the decades, storage units have become a popular choice for families and businesses that are in need of additional space. When you are considering a storage unit rental in Capitola there are several incredible facts that you may want to keep in mind. For example, a recently survey showed that there are as many as 49,940 self-storage facilities in the United States alone. These storage units combined offer an incredible 2.3 billion square feet of storage space. This amounts to as much as 78 square miles of total storage in America. With the popularity of self storage on the rise, it is estimated that as many as 1 in every 10 households relies on a storage unit to house their extra belongings. After learning these incredible facts, be sure to contact a storage facility near you to get started on your next rental. To get the most out of your move into a storage unit, it is important to choose your moving and packing supplies carefully. As you are preparing for your move into a storage facility, you should be sure to set up a dedicated packing space in your home. As you are preparing your items for your secure storage facility, you should make sure to have plenty of tape, newspaper, and bubble wrap on hand. In addition, you will need markers, Ziploc bags, and boxes. A company offering storage units near Santa Cruz can help you ensure that your move into a storage unit is smooth and stress-free. 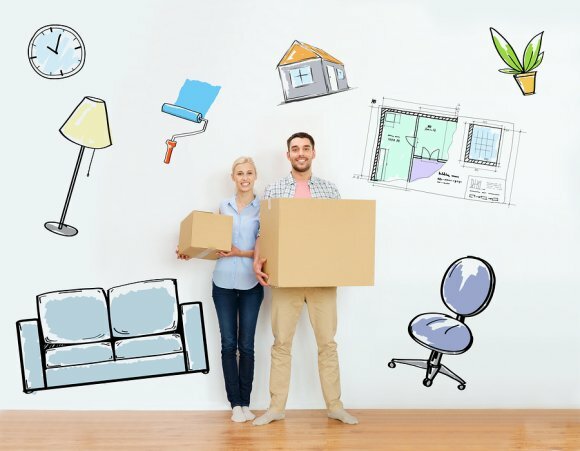 To learn more about how to choose your moving supplies, watch this video from Moving and Packing Tips from Relocation.com. What Are the Best Packing Supplies for Moving? When you are planning a big move, a self-storage unit can provide you with the secure space you need to store your belongings. Before you can start preparing your items for a move into a self-storage unit, you will want to make sure that everything is properly packed and organized. A facility offering storage units near Santa Cruz can provide you with the packing supplies and assistance you need to move into a high quality storage unit. By obtaining your moving supplies well in advance, you can help reduce your stress as you move. Here is a look at some of the best packing supplies that you can use during your move. Packing tape is among the essential moving supplies that you will want to obtain before you begin packing. 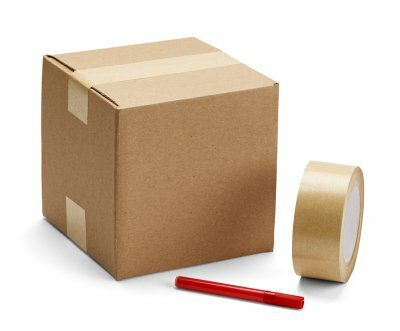 Unlike duct tape or masking tape, packing tape is designed to safely secure boxes and other items. You can use your packing tape to seal and support your moving boxes and protect the items inside. In addition, your packing tape can be applied to your furniture so that it remains safe during transport. If you will be packing a lot of fragile items, you may want to make sure that you have a good supply of newspaper for your move. Since newspaper is lightweight and easy to wrap, you can use this versatile material to protect fragile items such as dishes, glassware, and other items. When you are choosing newspaper, it is a good idea to test it to make sure that the paper’s ink will not leave a mark on your belongings. Boxes are also important for any move. When you are getting ready for an upcoming move, you will want to obtain boxes in many different shapes and sizes. While large boxes are convenient for packing bulky items, you should also be sure to collect smaller boxes as well. 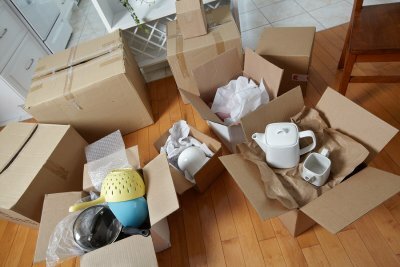 Small boxes can be used to pack heavy belongings, such as books or kitchenware. While digital documents may be backed up in several different locations and formats, original printed copies are more difficult to preserve. If you are planning on using a storage facility in Capitola during your next move or you are looking for a safe place to keep these documents, it is important to look into the facility beforehand. This will allow you to find a high quality storage unit that will keep your documents protected. Keep reading for tips for preserving paper documents in storage. 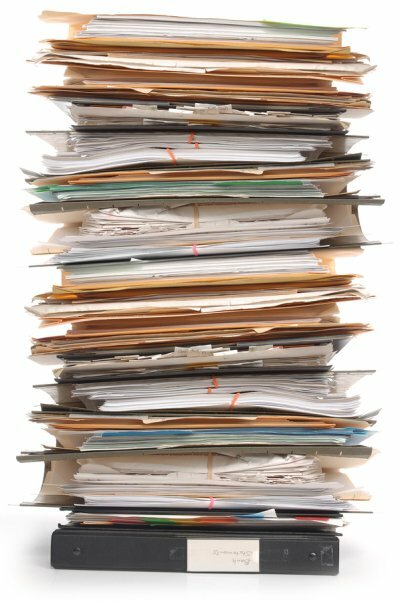 There are many steps you can take to ensure that your paper documents are taken care of while in storage, and the specific storage facility that you choose may be among the most important. Your documents will be best preserved when they are stored at the same room temperature that is comfortable for humans, which is somewhere between 60 and 70 degrees Fahrenheit . The humidity level of the storage unit should also be about 40 to 50 percent. A storage facility that controls its climate and temperature can prevent your documents from becoming discolored or succumbing to mold growth throughout its time in the facility. People bring their paper documents to storage facilities in order to keep them safe and ensure their longevity. A storage facility that is not secure, however, cannot hope to accomplish this feat. Do some research on your storage facility before dropping off your paper documents to make sure that they will do what they can to keep them protected. Your storage unit should be fenced or gated in, and each tenant should have his or her own code. Some facilities have managers live on site, which can also contribute to the security level of the units. You can ensure that your documents will last as long as possible by keeping them protected from light, dust, and moisture. Consider using a box, folder, or portfolio and make sure that the material will not react with the paper. Storing documents in a folder and then storing the folder in a box is ideal for important or valuable documents. Use this App to Get Ready for Your Move! With the right tools, moving does not have to be as much of a hassle as you think it will. The Moving Day app available on iTunes gives you the help you need to easily organize your belongings so you can transport them to your new home or to your storage unit in Capitola . 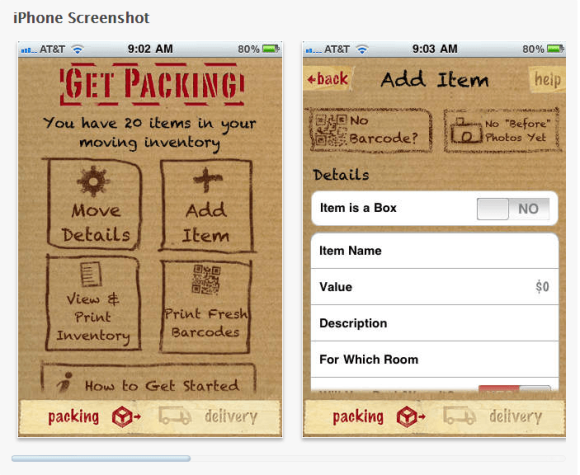 This app makes it easy to catalog every item that you pack. It also has a built-in barcode scanning and label making system to keep you organized throughout every phase of the move. Find an easier way to identify damaged or missing items and create reports right from the app. Whether you are bringing your belongings to a storage facility or to your new home, this app keeps you organized during the process. Download it before your next move to make it less stressful. If you’re like most people, you can probably think of many things you’d rather do besides pack up your home and move. Whether you’re downsizing your home or moving out of your house to travel for a while, a self-storage unit in Capitola can help make the packing and moving process easier. Instead of dreading packing and putting it off until the last minute, consider the ways you can make the packing process fun. Invite a few friends over and have a packing party, giving everyone a small prize once individual rooms are completed. You can look at your moving truck or storage unit as a real-life Tetris game, contemplating each move to make the most of your space. Take a look at this infographic to find more ways of making packing fun instead of frustrating. Please share with your friends and family!